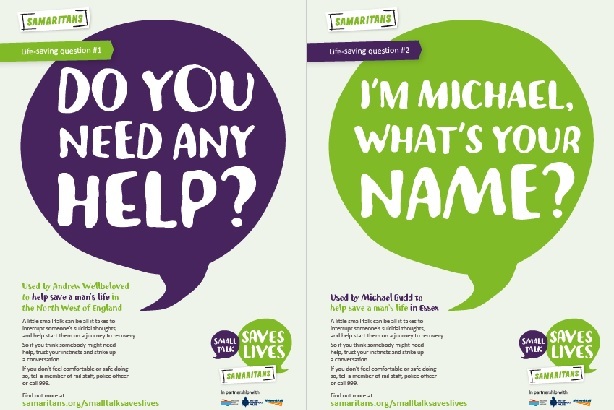 Network Rail, British Transport Police and the Samaritans used the real-life story of someone planning to take her own life to markedly shifted attitudes and boost awareness among rail travellers of the role they can play in saving lives, with a third of consumers recalling the campaign. 'Small talk saves lives' launched on 15 November, the result of a collaboration between the two public sector bodies and the emotional support charity. Its aim was to make passengers more alert to their fellow travellers, encouraging them to look out for vulnerable people; and cut the number of suicides on the network, which in 2016 totalled 237. 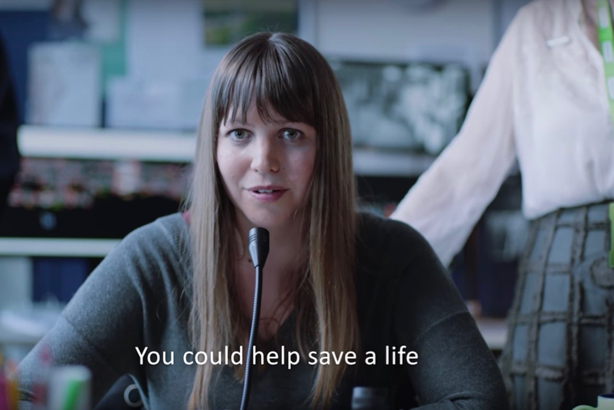 The campaign's centrepiece was a short film starring Sarah Wilson, who was planning to commit suicide but was dissuaded from doing so by the intervention of someone who took time to speak to her. The 90-second film depicts Wilson telling her tale to passengers on a platform via the station's PA system. From an ominous sounding start announcing a "serious incident on the line", with passengers visibly concerned, emerges a story of hope and recovery. "Sarah left a note before leaving her house because she had decided to take her own life," she continues, referring to herself in the third person. "But I'm very pleased to tell you she didn't go through with it because someone took the time to stop and talk to her... I know this, because I am Sarah." The endline reads: "For every life lost on the railway, six are saved by those around them." Launched on BBC Breakfast and subsequently seeded across social media and the digital channels of Network Rail, Samaritans and British Transport Police, activity used the hashtag #SmallTalkSavesLives. A shortened version of the Sarah Wilson film was shown on giant screens at London Victoria on launch day, while digital posters were used across all Network Rail stations. Four posters were created using quotes from people who helped save lives through engaging in conversation with the prospectively suicidal. "Do you need any help?" and "I'm Michael, what's your name?" were two examples. 'Small talk saves lives' has had a marked effect on rail travellers' awareness of and attitudes towards visibly distressed fellow passengers. Research conducted since the campaign ran showed that one in three adults were aware of the campaign, and that it reached more than 17 million people on social media, with 5.7 million watching the video. Further research (conducted among 5,000 adults from 6-11 October and then 22 December-5 January) found that 49 per cent felt 'Small talk saves lives' had increased or reinforced their intent to act if they noticed someone who may be suicidal or troubled. Of those, there was a 10 per cent increase in people saying they would be 'extremely likely' to intervene. Nearly half (47 per cent) said the campaign had boosted their confidence in recognising someone in distress, and 42 per cent said the campaign had increased or reinforced their knowledge of how to intervene in a safe and effective way. The campaign has also been nominated for six awards in the PR industry — three in the PRCA Digital Awards and three at the Brand Film Festival.